ROME - Valiant Wealth are setting new standards in independent financial advice for international people resident in Italy. 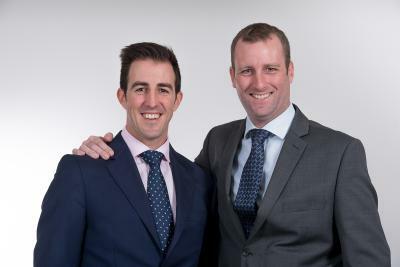 Through their company, Valiant Wealth, Tom Goold and Adam Smith have combined their years of experience and expertise to bring UK regulated financial advice to the Italian market. Valiant Wealth specialise in providing independent financial advice and planning for expats and international people in Italy. “We work with people from a range of backgrounds and we have a model that suits any individual who needs independent advice regardless of their nationality. We’ve helped expats from all over the world and also have years of experience dealing with people at the United Nations. Many of our clients have some kind of cross-border concern where they have assets in other countries or need to prepare for a potential move elsewhere in the future.” Adam explains. Valiant Wealth has been created with a different model to the existing expat advisories based in Italy and Tom and Adam feel it is one that firmly puts the clients’ needs first. “We’ve both been living here for several years and working in the financial services industry. We created our company out of feelings of disillusionment over the way clients are generally looked after when it comes to receiving independent financial advice in Italy.” says Tom, who lives in Rome with his Italian wife and their two year old son. What sets Valiant Wealth apart is their fee-based client-first business model. “When we came up with the blueprint for our company we wanted to create something different and provide clients with an alternative. We guarantee the same standards that they could expect to receive in the UK which is one of the most strictly regulated markets in the world.